President of the Senate and Chairman, People's Democratic Party (PDP) Presidential Council on Osun State Gubernatorial Election, Dr. Abubakar Bukola Saraki, has faulted the declaration by the Independent National Electoral Commission (INEC) that the election results were inconclusive. Saraki, in a statement signed by him, expressed dismay over the decision by INEC to declare as "inconclusive" an election in which a candidate won the highest number of votes and fulfilled the condition for geographical spread. "In my lay man's opinion, the INEC was wrong in declaring the election as inconclusive because the votes in certain polling units were cancelled. The decision of INEC to cancel the election in those areas after voting had taken place means INEC had already excluded the votes in these areas from the election process and therefore those units should have no place in the overall results. My opinion would have been different if the election in the affected units did not take place at all, may be as a result of malfunctioning of the card reader machine or unavailability of the electoral materials. Since the voting took place and was cancelled, only the courts could reverse the initial decision by INEC to cancel the votes in these areas. "That is why I call on our party and its candidate to seek further legal interpretation on this decision by the electoral body. One cannot but wonder whether if the places were reversed and the candidate of the ruling All Progressives Congress (APC) is the one leading in the election, the INEC will take the same decision it has taken now. "At this point, it is necessary to also call on INEC to display courage, boldness, independence, neutrality and patriotism so as to send signals to the world at large that Nigerian electoral system has come of age and that our democracy has matured. The electoral body needs to re-assure all and sundry that the 2019 election and other elections will be free of manipulations and undue interference. "The INEC should note that the Osun gubernatorial election is not only about that South-western state. It is about our country and the entire world is watching. Our national interest is at stake. The integrity of our electoral system is at stake. The reputation of the electoral body is at stake. The future of our democracy is on the line. The way INEC conclusively handles the Osun election will determine global expectations from our political process. It should therefore ensure that the wish of the Osun State electorate eventually prevail. "I praise the dedication and hard work of PDP supporters and the candidate of the party, Senator Ademola Adeleke. They have remained steadfast, resilient, focused and determined. "Let me also commend all the other contestants in yesterday's election for their gallant efforts because it is clear they are all working for the same objective from different perspectives and platforms to ensure that the era of mis-governance, pain, injustice and insensitivity to the plight of the common people comes to an end. It is our hope that they will all co-operate with Senator Adeleke to ensure that Osun State witnesses a development-oriented era. "Let me remind our party supporters and the good people of Osun State that this INEC decision constitute only a delay of the victory of Senator Ademola Adeleke and the PDP in Osun Gubernatorial election, as our triumph will come either through the judiciary or a further balloting. "I thank PDP supporters and the general public in Osun State and note that we got to this point after many months of hard work, determination and focus. We should not despair and not lose our focus and determination to ensure that the final results reflect the will of the Osun people. "Our party is ahead, despite the irregularities. Our people must remain resilient to see this through to the finish. Now is the time to re-strategize, reach out to all the other candidates and their supporters, build on our lead, and bring this election home. "Our supporters and the entire people of Osun State should remain calm and maintain peace as we move forward to see the successful completion of the electoral process. "Once again, I thank all supporters of the PDP and the people of Osun State who stayed up all night, both physically and on social media to monitor the numbers and protect our votes. 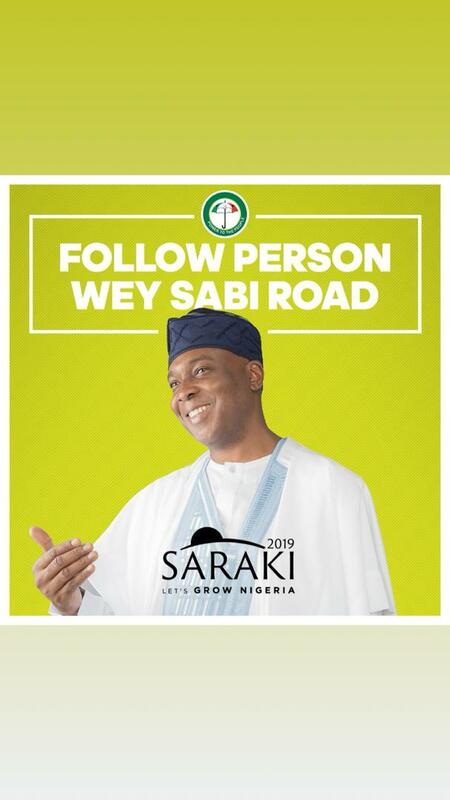 We remain undeterred, and we all remain determined to ensure that Senator Ademola Adeleke becomes the next Governor of Osun State", Saraki stated.